Scrumptious pasta dish ready in minutes! 16 ounces Spaghetti (or your favorite pasta) cooked as per instructions. In a food processor add 1/4 cup parmesan cheese, handful of fresh parsley and basil, drizzle of olive oil, 2 cloves of garlic, s & p, run until combined. 1/4 cups chopped pecans. Parmesan shavings for garnishing. Once pasta of your choice is drained, add pesto, toss and serve, add pecans and parmesan shavings! Love this simple, easy dish! Just a serene beautiful day to walk on the beach! Black Pepper Turkey with Swiss Cheese! I love the Deli. I wanted to make some easy, yummy sandwiches for everyone and this Black Pepper Turkey is so good. I bought 2 pounds, one pound of swiss cheese, 2 loaves of Bakery sliced Italian bread, and of course ripe tomato slices and lettuce-don’t forget the brown mustard. Assemble these and dig in they’re great! Delicious and super easy fresh Blueberry Cake. I love this for breakfast, warm out of the oven with a honey lemon butter cream to spread on top! 1-1/2 cups Self-rising flour, pinch of iodized salt, 1 teaspoon pure vanilla extract, 2 eggs, 1/4 scant cup vegetable oil, 1-1/4 cups fresh blueberries, 1/2 cup granulated sugar. Mix flour, oil, eggs, salt, vanilla until combined, add sugar, stir well, fold in blueberries. Add to a greased round cake pan and bake @375 F for 30 minutes. Serve warm! Oh my these are so yummy! I bought two (not overly ripe) Avocado the other day! I decided I was hungry for this and it is a snap to make. Remove pits from two avocado carefully, remove flesh and slice avocado. On a plate add bread crumbs (I use seasoned) and gently coat each slice of avocado! Add coated avocado slices on a non stick baking sheet pan, put into the oven @ 400 F for 12 minutes or until golden brown. While they bake add 1/4 cup sour cream into a small bowl, one lime (juice only) and stir well. Makes a great snack any time. It’s great to have dreams and aspirations, but you have to be willing to pursue them in order to make them a reality. Cheryl "Cheffie Cook… on In Deep Thought! anotherday2paradise on In Deep Thought! Hi Y'all; as we say down south!!! Raised in Florida and still reside in Florida!!! 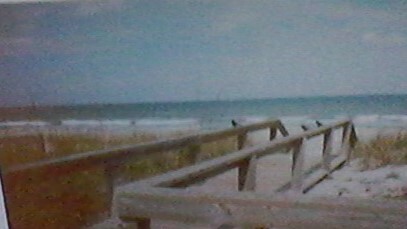 I adore "my" Ocean, walking the beach, swimming, water sports, reading, writing, beautiful flowers, plants indigenous to Florida! All Sea life. The sunshine, sunrises and sunsets!!! Herbs, fruits, vegetables. I could go on and on...Florida is a lifestyle! Simple comfort foods are the absolute best! If you have time, check out my other web sites. Thanks so much for stopping by; I hope to see YOU again soon. Total Web sites (10) Award Free Blogs -See You There! (1) https://clwiser.wordpress.com- Cheryl "Cheffie Cooks" Wiser -Ocean Living and Cooking- fun Florida lifestyle antics and adventures. (2) https://cooking1allthingscitrus2 .wordpress.com. Cooking/recipes using Citrus Fruits. Oranges, Lemons, Limes. (3) https://cheffiecookseasy123 .wordpress.com. Helping those cooking on a budget, recipes, suggestions, tips. (4) https://mainlyfoodtriviaandfacts .wordpress.com. Food Trivia and facts-Random Alphabet of Cooking- A fun site. (5) https://notthegourmetnextdoor .wordpress.com. Simple. Comfort Foods. Every Day. Top ten comfort foods! What are they? You'll be surprised. Recipes shared (6) https://clwisernovelette1. wordpress .com. A fun Fiction Novelette -For your reading enjoyment. (7) https://wegrazetogether. wordpress.com - Food Bloggers Unite! List of Food Blogs to view/recipes /Worldwide Site (8) https://thewisercook. wordpress.com -smarter cooking (9) https://cheffiecooksfavoriterecipes .wordpress. com - photo gallery (10) https://allaboutappetizers.wordpress.com/ For entertaining family and friends with great appetizers, dips, snacks ***(A member of) www.TastyKitchen.com (a Public-Community Recipe Sharing Site).I have 1,500 recipes posted-my recipes are all original To access any one of the web sites through gravatar, click on the ones you wish to view.